The largest Christian engagement with animal issues in the world since the nineteenth century. On Saturday 18th March, Sarx staged the Creature Conference in Waterloo, London. 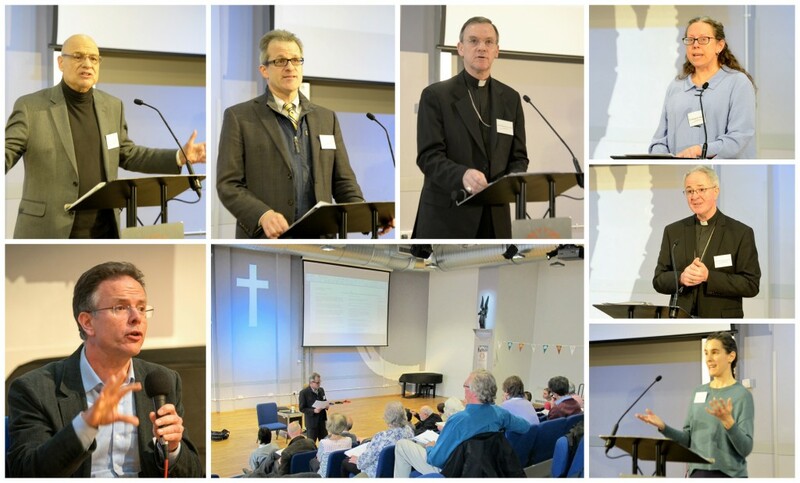 This landmark event witnessed nearly 200 Christians gather to engage theologically and practically with animals and animal issues. The Creature Conference was the largest gathering of its kind anywhere in the world since Christian anti-vivisection rallies in Britain in the late nineteenth century. As well as arriving from across the UK to attend this unique event, delegates travelled from the USA, Canada, Sweden, France, Ireland, the Netherlands and Spain. Leading speakers from a wide range different church traditions met to consider the relationship between the Christian faith and concern for animals including Dr Margaret Adam, The Rt Revd John Arnold, Professor John Berkman, Dr Tony Campolo, Professor David Clough, Dr Ruth Valerio and The Rt Revd Dominic Walker. 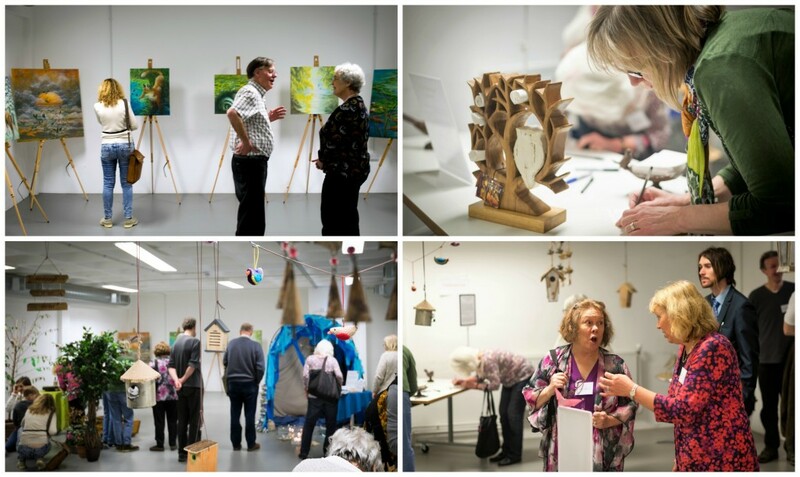 The attendees had much to explore, reflect and discuss with input from keynote addresses, workshops, interactive prayer stations, crafts, an art exhibition and a panel discussion chaired by Sarx Patron the The Revd Steve Chalke MBE. Sarx could not be more pleased and proud of our team of over 25 dedicated volunteers who welcomed the delegates and provided warm, friendly service throughout the whole day. Results in from our post-conference survey suggest that the conference has already had a significant impact on its attendees. With 97.92% of those surveyed having enjoyed the conference, the vast majority of attendees have confirmed that they have increased their theological understanding of animals, are encouraged to pursue animal concerns within their own churches and made new relationships with other people who are concerned about animal issues. 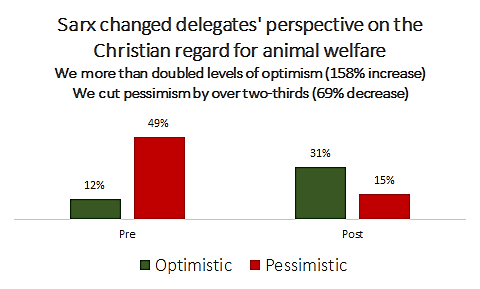 Indeed we have more than doubled levels of optimism in regards to Christian regard for animals! 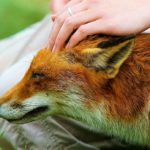 The size and success of this conference is proof positive that throughout the UK and beyond, a growing tide of people are eager to engage with animals issues as prime faith issues. 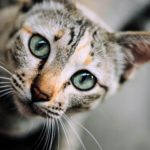 The impact of this event will resound well beyond those gathered at the conference and go a long way in rekindling our connection and concern for all living creatures in God’s creation.